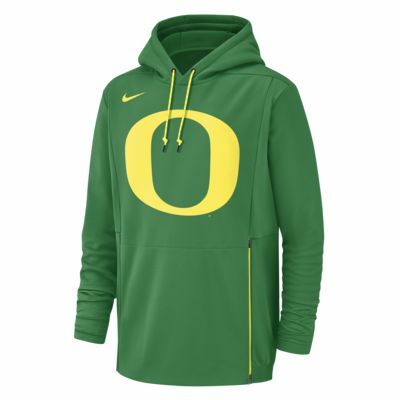 The Nike College Therma (Oregon) Hoodie features bold team graphics to show your pride. Nike Therma fabric traps your body heat to help you stay warm and comfortable. Nike Therma fabric locks in heat to help keep you warm. Fabric: Body/hood lining: 94% polyester/6% spandex. Panels/panels lining: 92% polyester/8% spandex. Mesh: 100% polyester. Have your say. 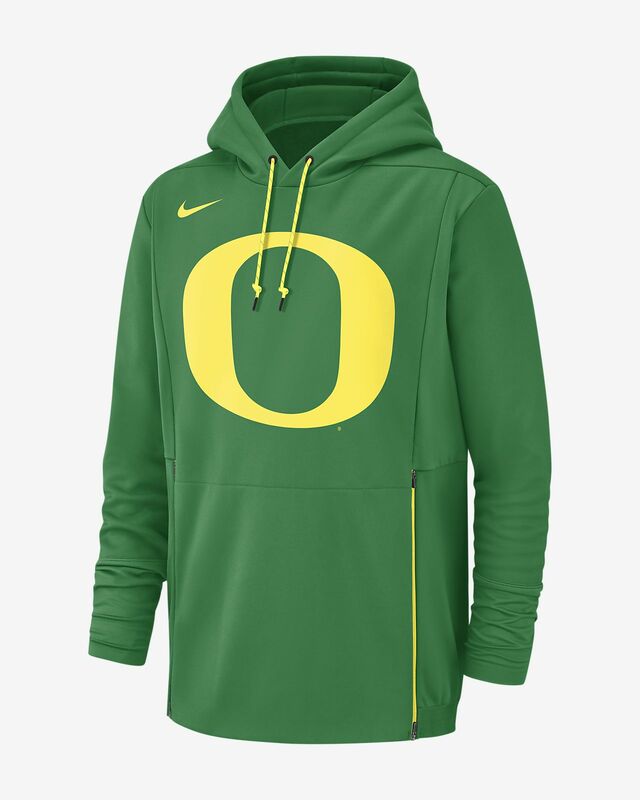 Be the first to review the Nike College Therma (Oregon).